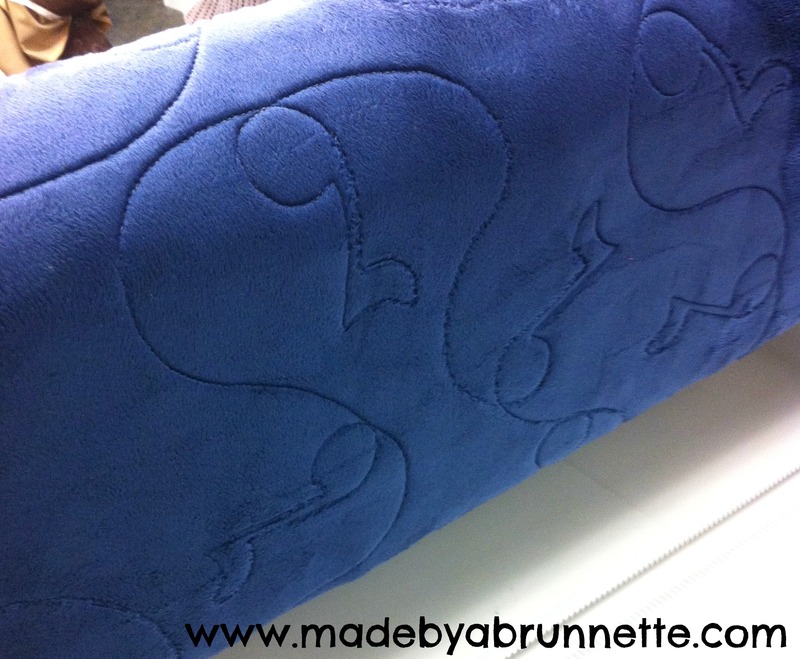 When my husband passed away, my life changed forever. But, it wasn’t just me whose life changed forever that day; he has two beautiful daughters in their mid-twenties who lost their awesome Dad way too soon. 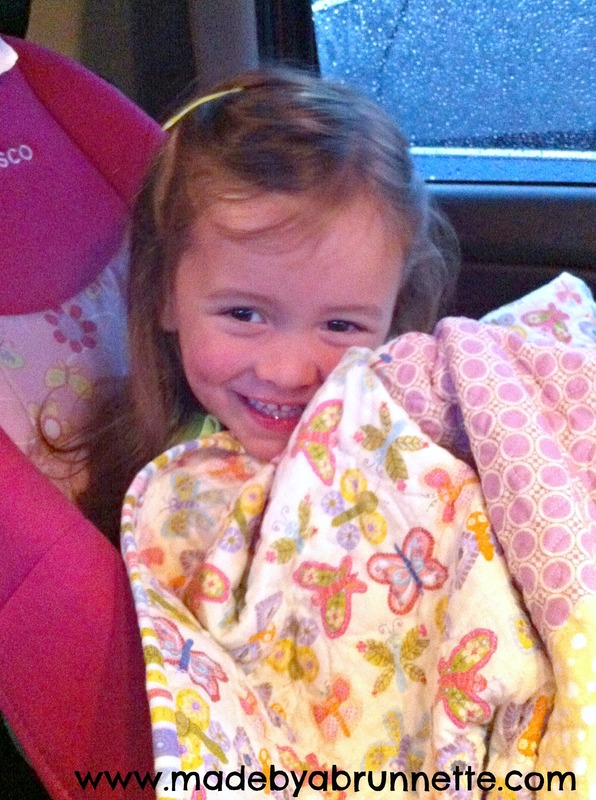 He also has a now 2-year-old granddaughter who won’t have a memory of the grandpa that was so enamored with her. And his brother lost his only sibling. Not a day has gone by that I haven’t given thought to the loss they all feel as well. 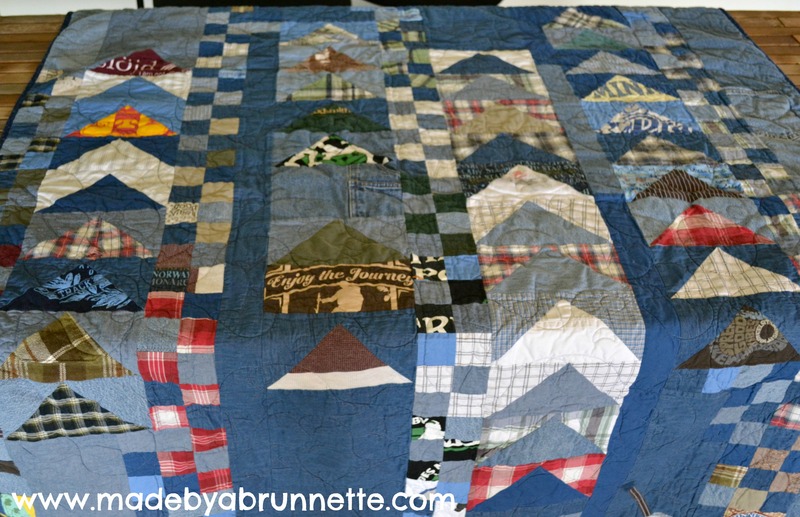 I knew I wanted to make something for his daughters as a special memory of their Dad–using his clothes, the signature jeans and t-shirts he lived in. 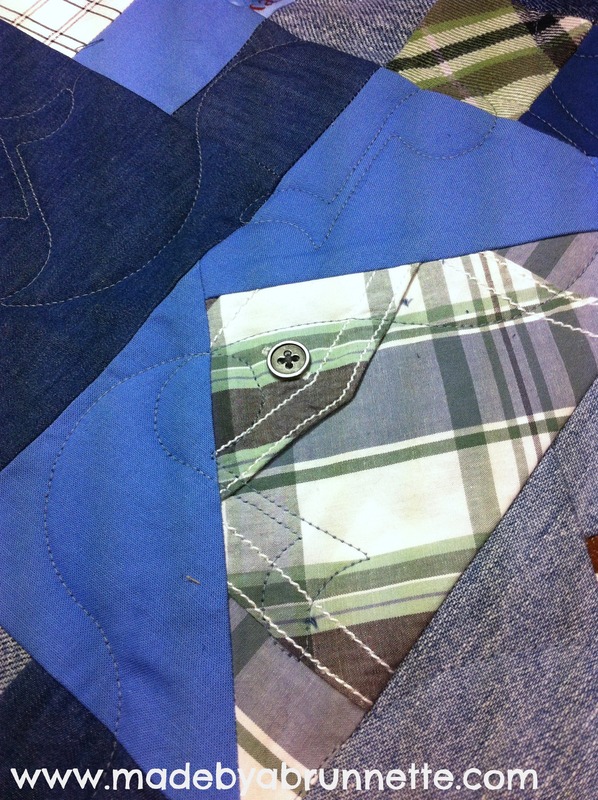 I’m not a fan of traditional t-shirt quilts, and the carpenter jeans he wore to work every day were so a part of his persona, I really wanted to incorporate the denim as well. 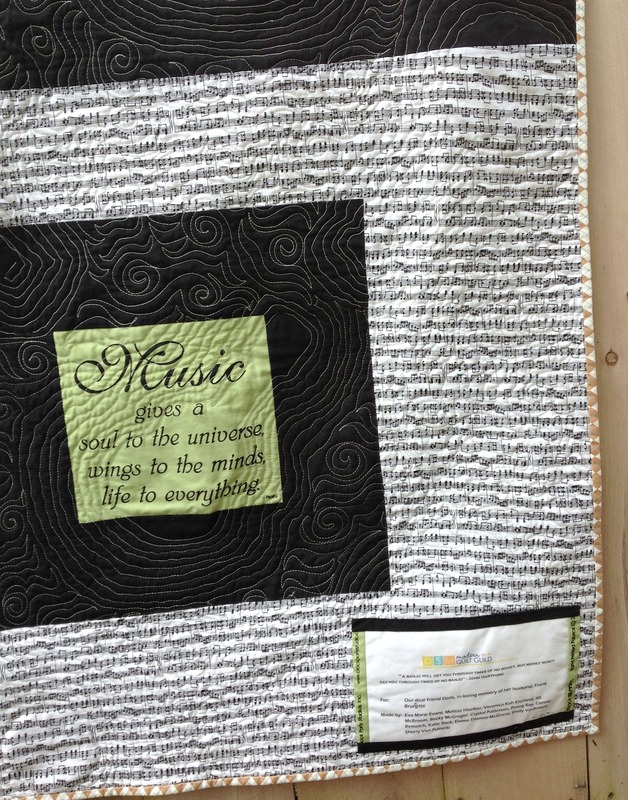 I found this inspiration quilt — and at a retreat in October, I started making a quilt for each daughter with the idea of finishing them for Christmas. 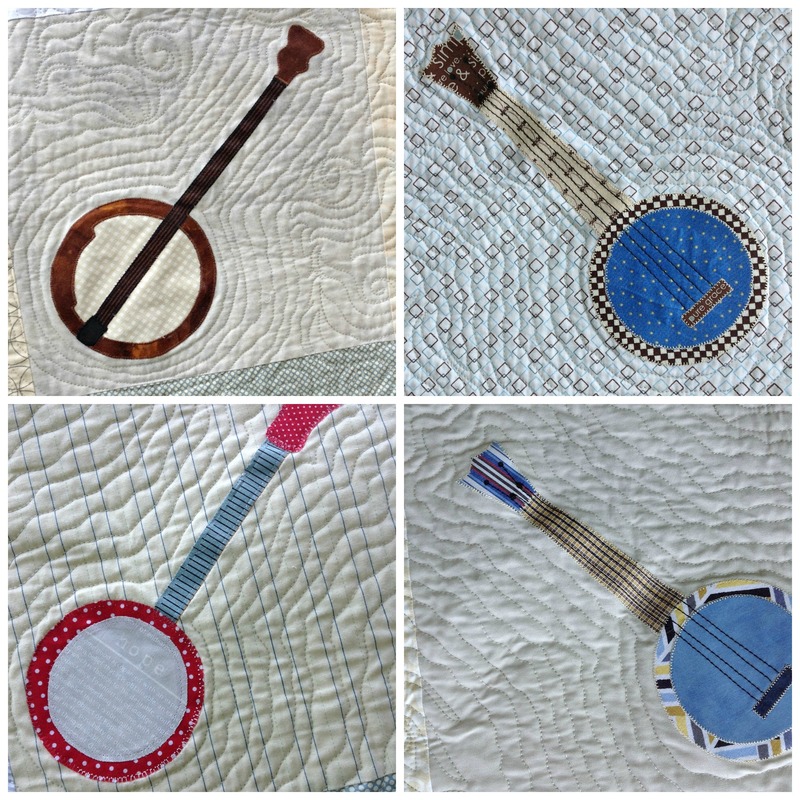 The label on each quilt (on the front bottom right) is a banjo–an instrument he taught himself to play over the past few years. 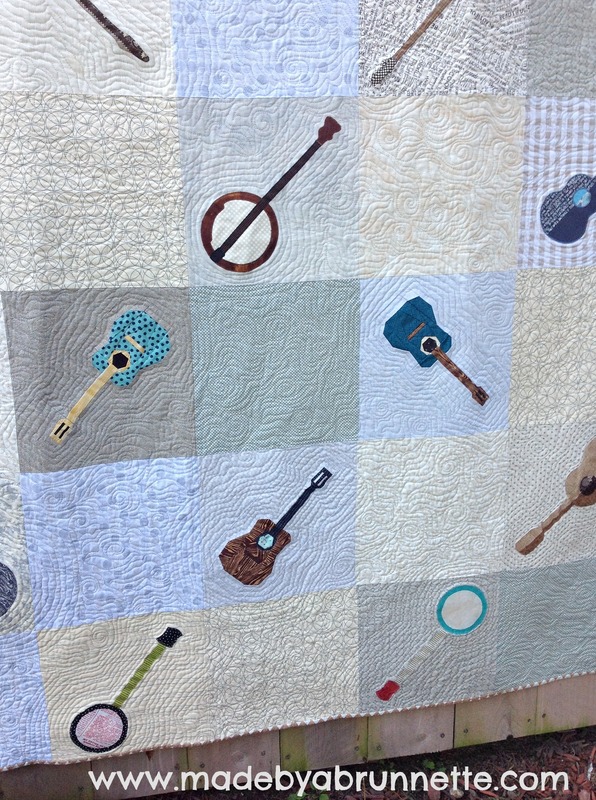 The quilting is an overall pattern of music notes and meandering. 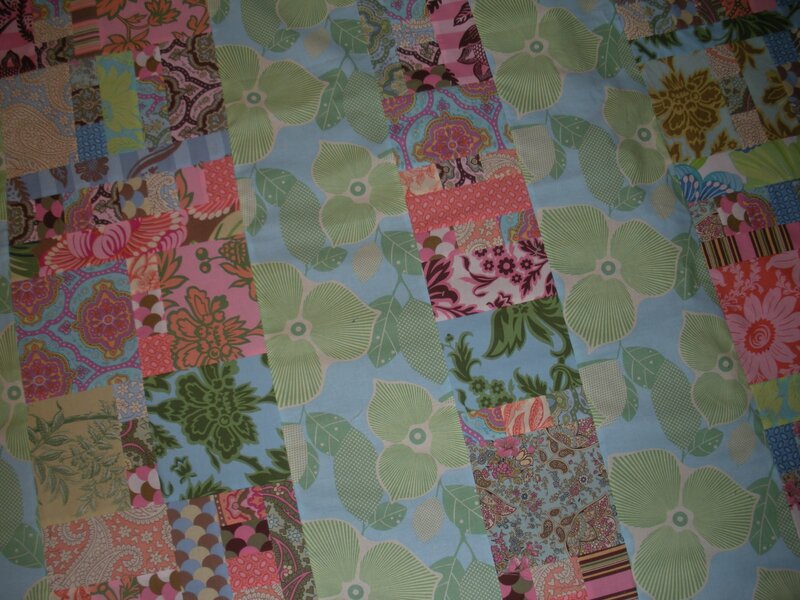 The backing is Navy minky, because I wanted these quilts to be something they could snuggle up in; a comfort quilt. 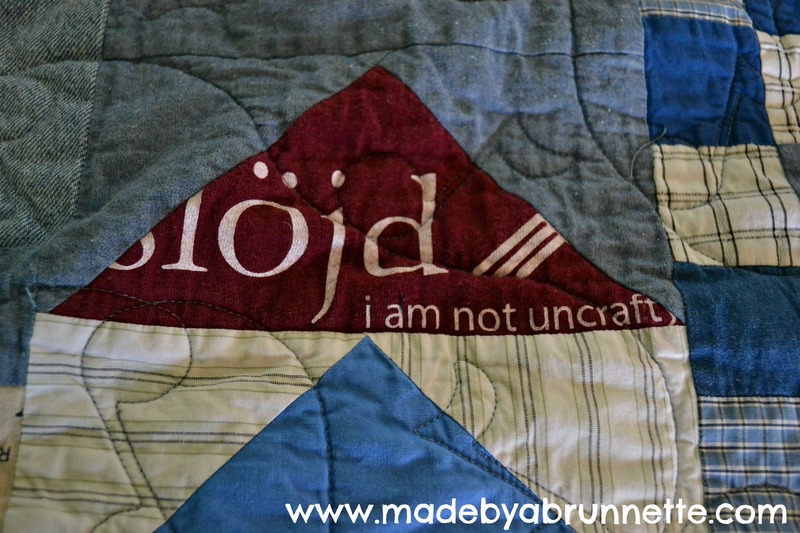 Trina helped me get these quilted in the last few days before Christmas. 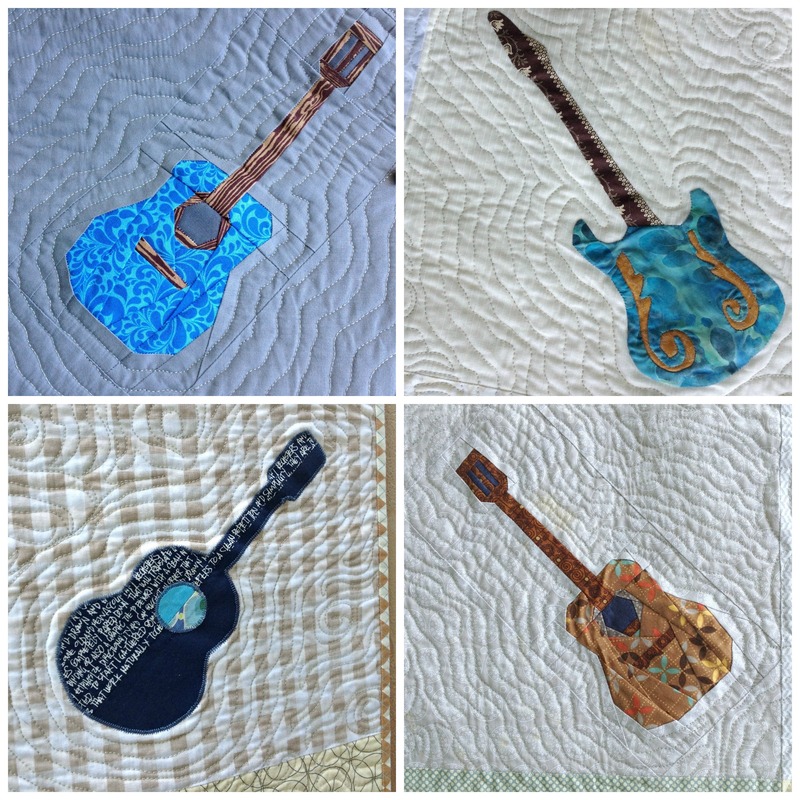 Here is a full shot of both quilts, photos I took before gifting them and then lost when I got a new phone a few days later. 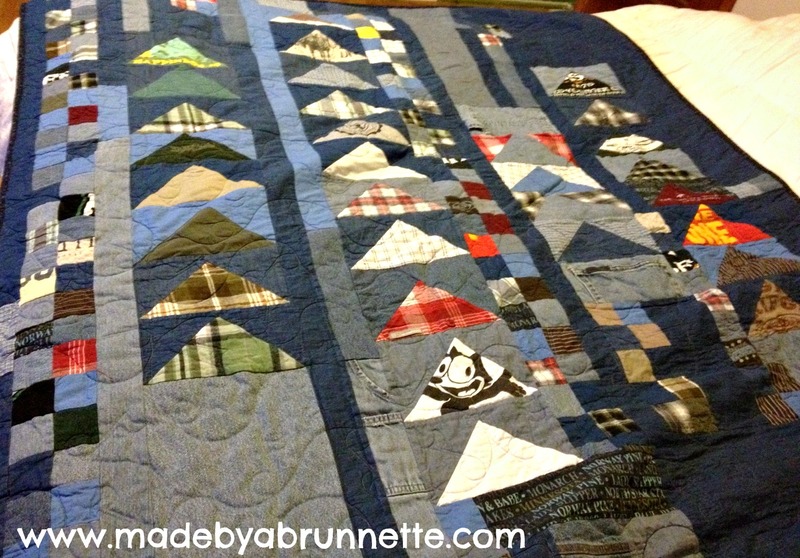 This collage was the only photo that survived because I had posted it to Facebook. Oops. 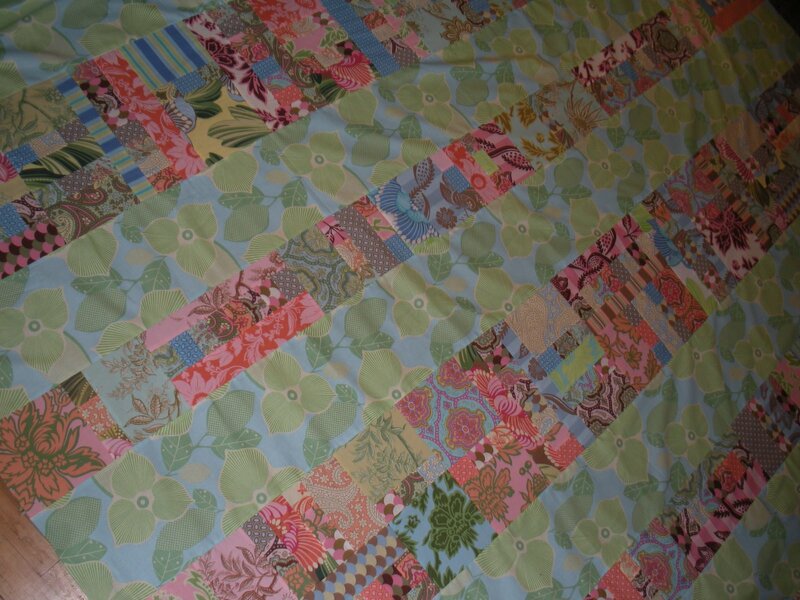 Thankfully the girls each emailed me a few photos of their finished quilts so I could show them here. 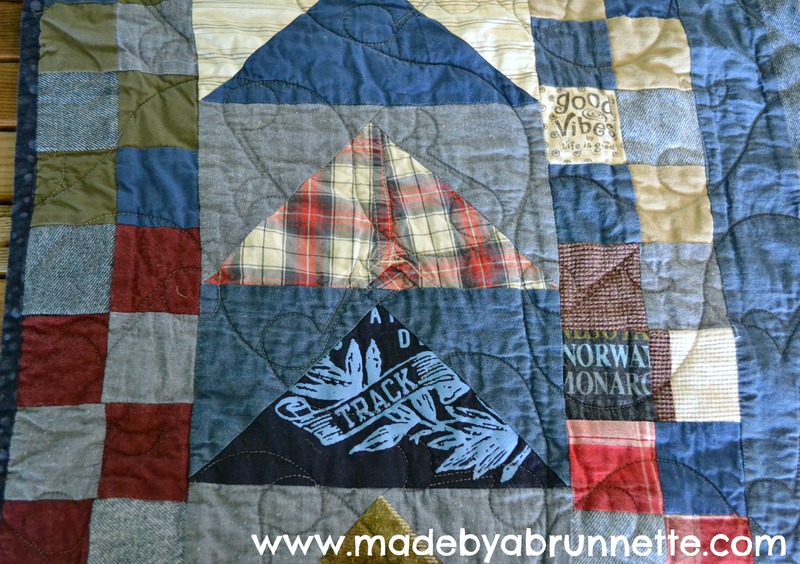 Frank would have thought these quilts were so cool, as he would the quilt I’m planning to show you in my next post, it makes me smile to imagine what his reaction would’ve been. I hope they bring a little bit of that same comfort to his girls. Yea, it would be even more hilarious if it weren’t so to the point. 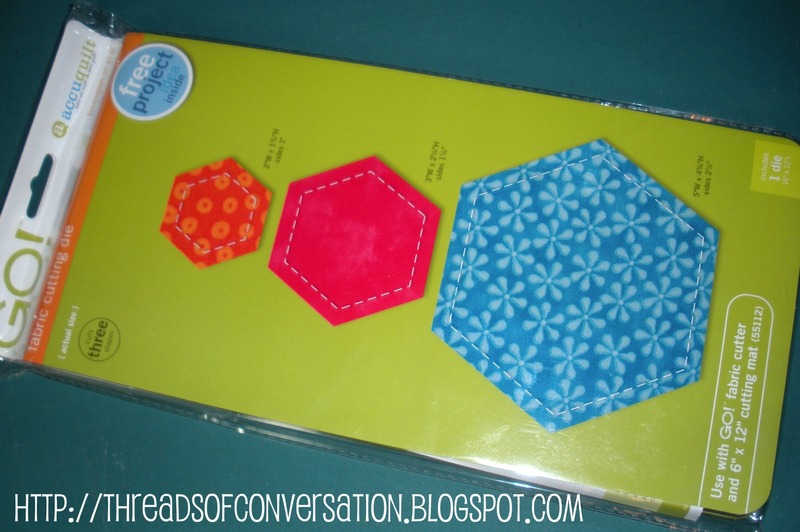 Creatives, Sewists, Quilters, Seamstresses, Designers, Artists (whatever you label yourself): Value yourself, your time, and your expertise enough to charge appropriately for IT. 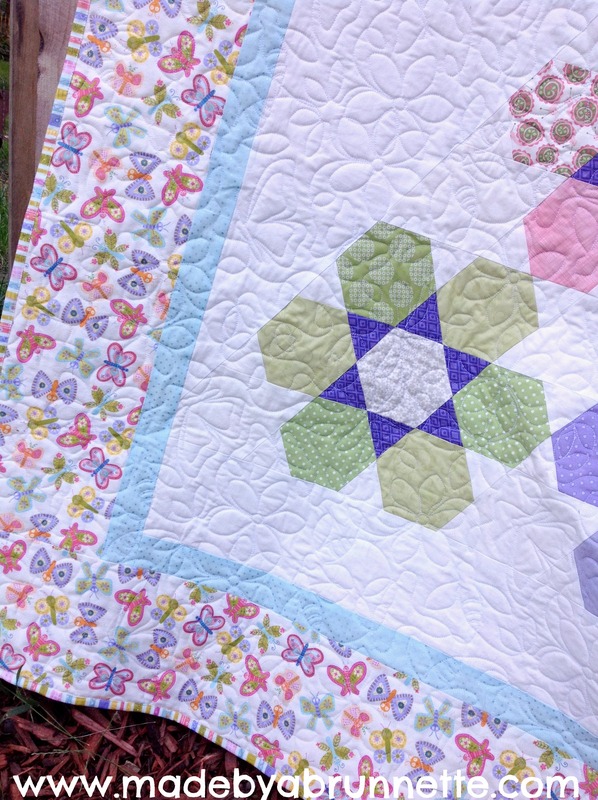 In December, I mentioned that I was helping my SIL, Lesley, make her first quilt. 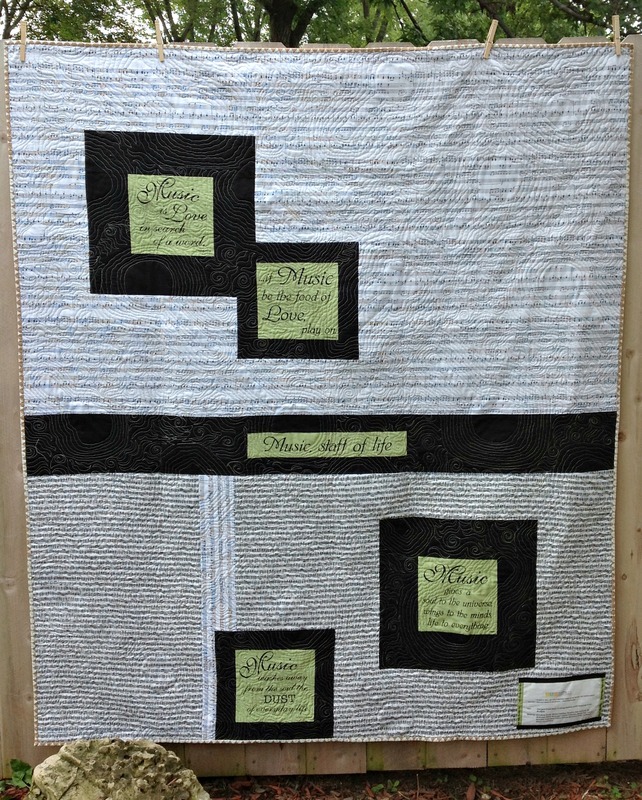 It is a 100 Wishes quilt, for the son they adopted from China just before last Christmas, my sweet nephew Caleb. 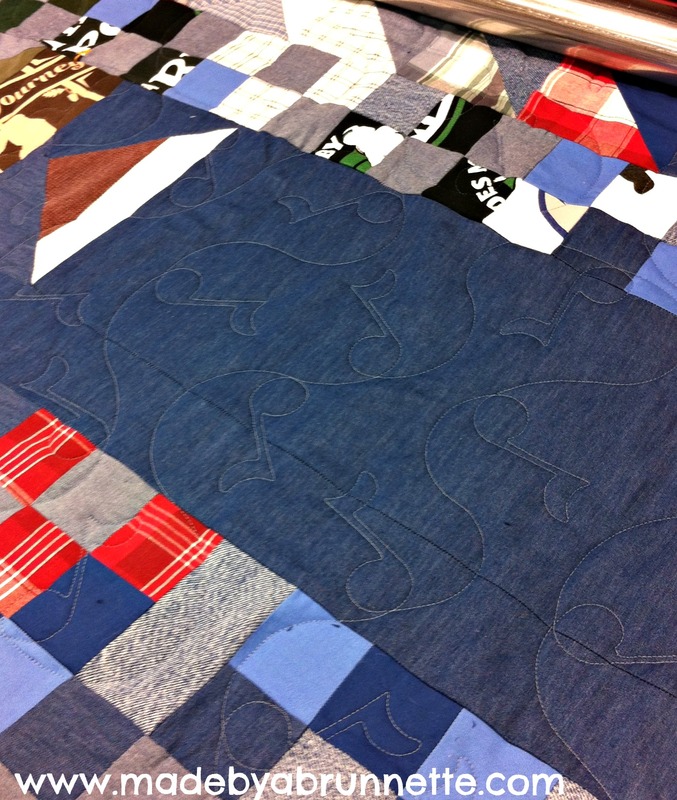 In Northern China, where Caleb hails from, it is customary to invite friends and family to contribute a patch of cloth with a wish for the baby. 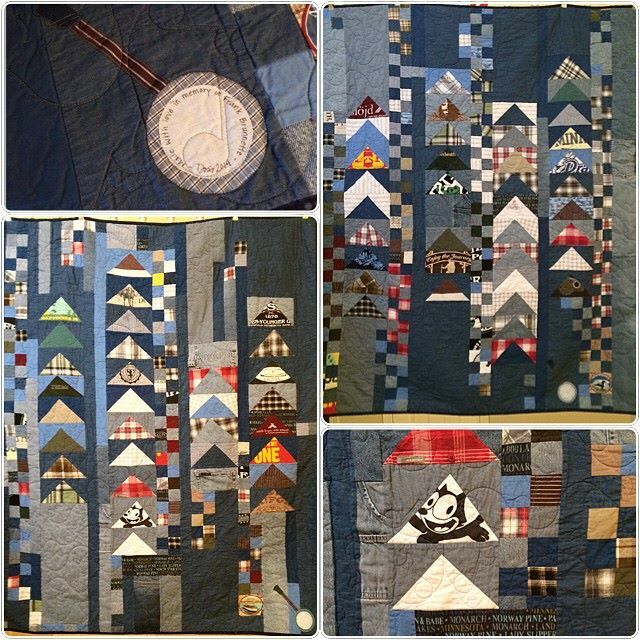 Part of the patch of cloth goes into the quilt, and the other part of the cloth is kept in a scrapbook along with the wish for the child. 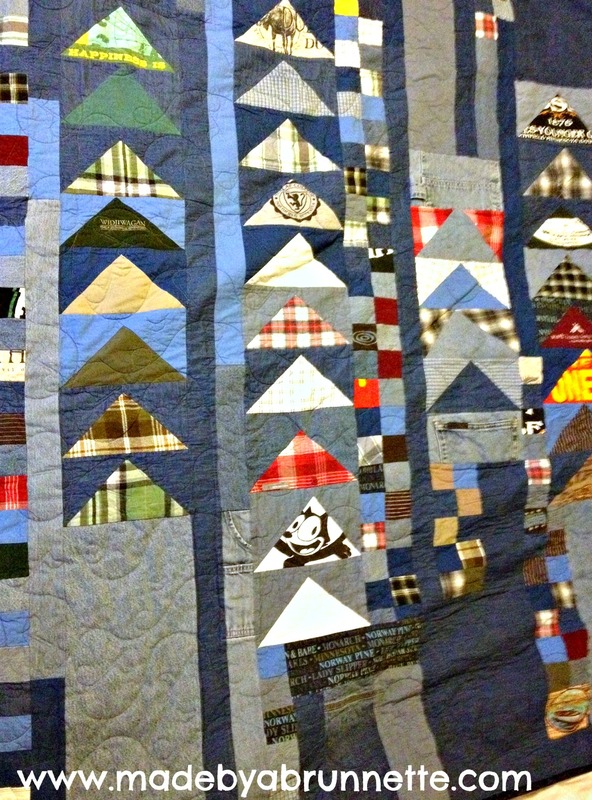 The quilt contains the luck, energy, and good wishes from all the families and friends who contributed fabric; hence the name, a 100 Good Wishes Quilt. 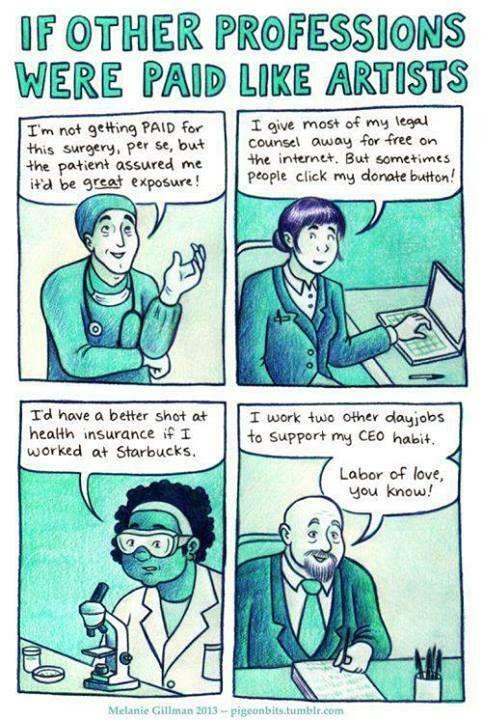 Great idea, right? Well, many adoptive families carry on this tradition to commemorate welcoming a new little one into their family. 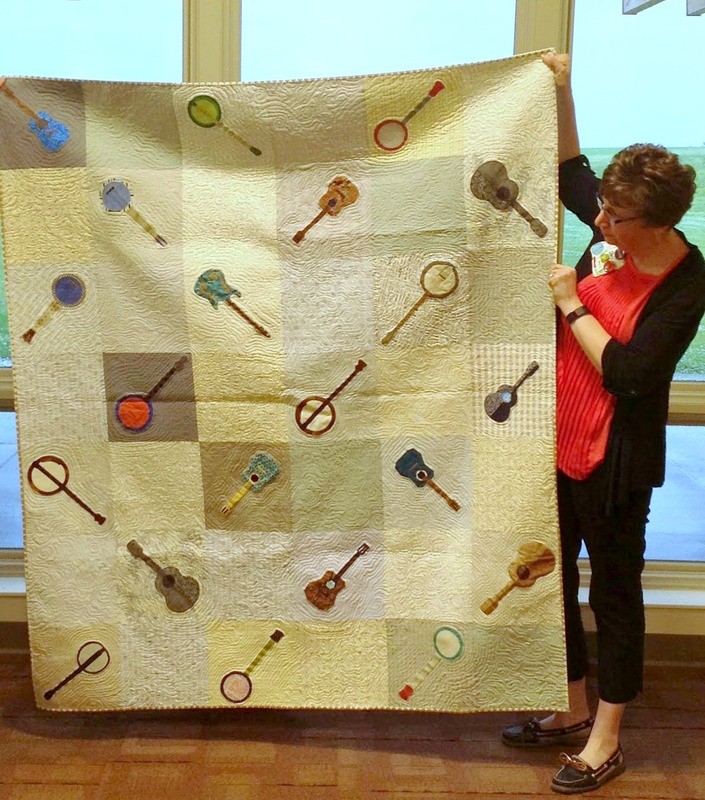 Lesley had never made a quilt before, but she was determined to make one of these for their son. 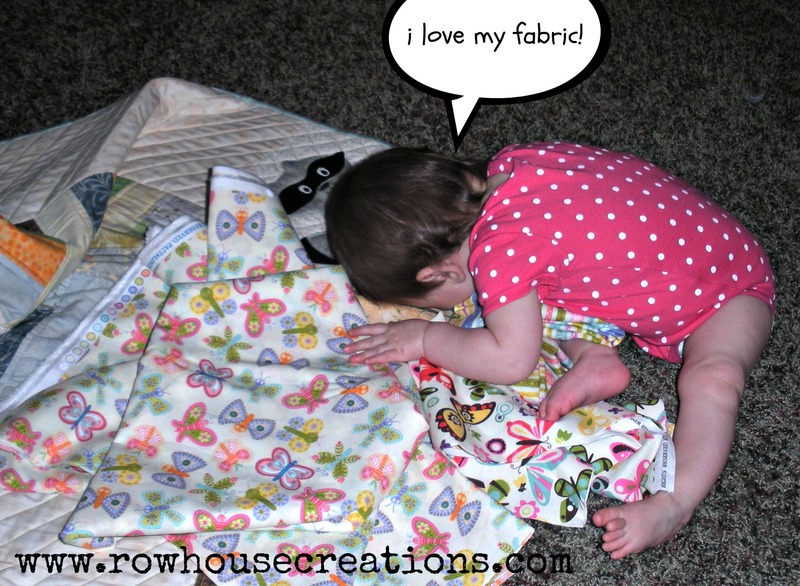 She started collecting fabric about six months before they traveled to China to meet him and bring him home. 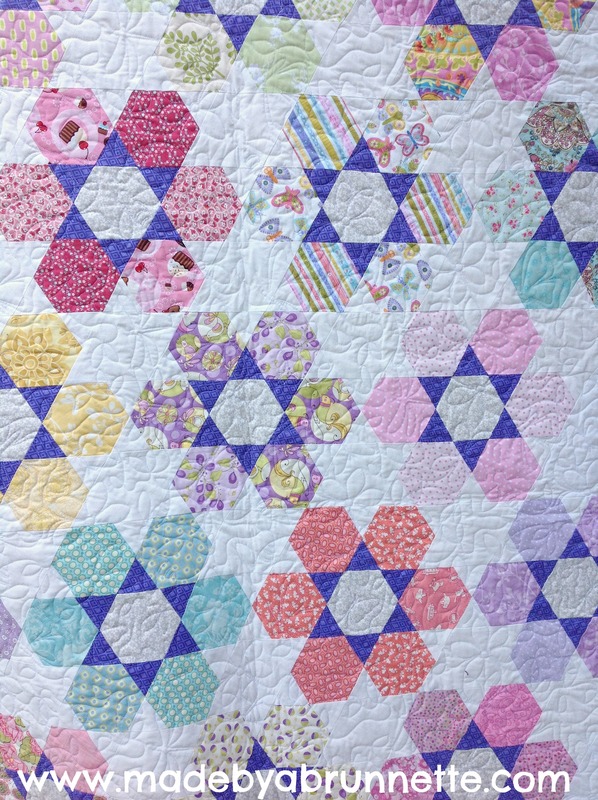 I helped her decide on a block, and a layout, and answered questions for her as needed (usually via the telephone). 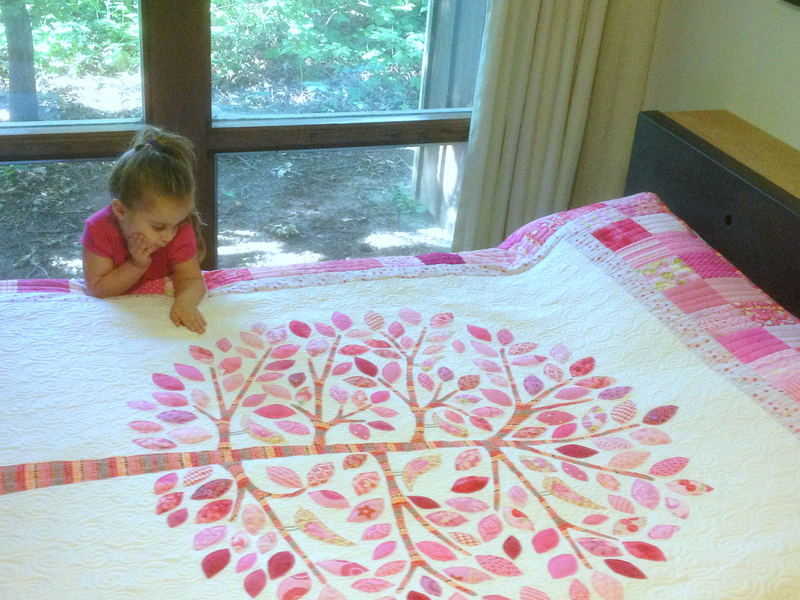 Her project is an ambitious one, Caleb has a full size bed, so this first quilt is a LARGE quilt. 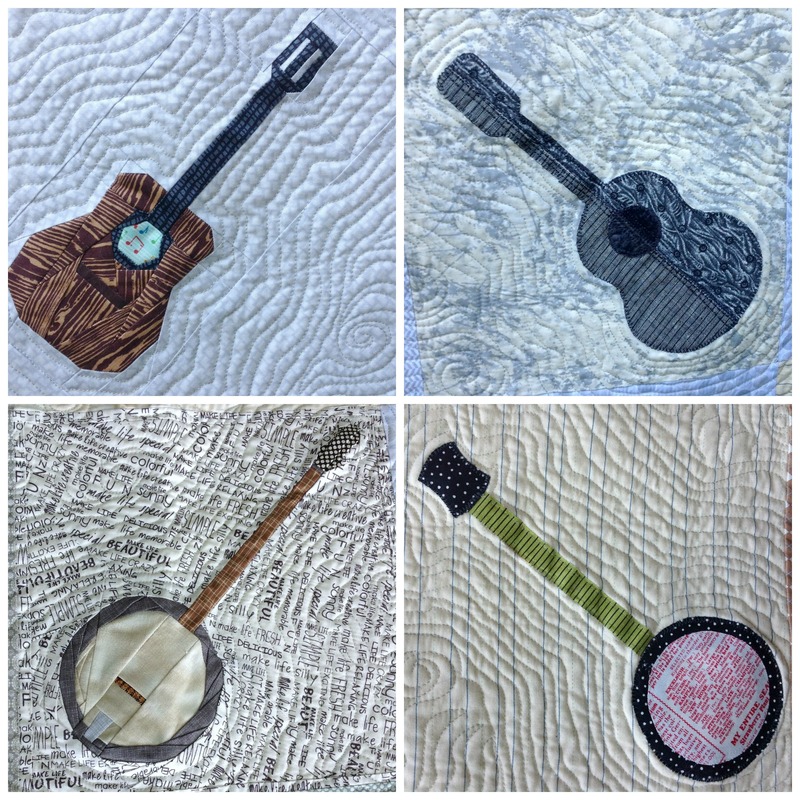 She had cut and sewn every block herself with fabric donated from friends and family, and while they were in China last December, I squared them all up for her, and got them ready for piecing. 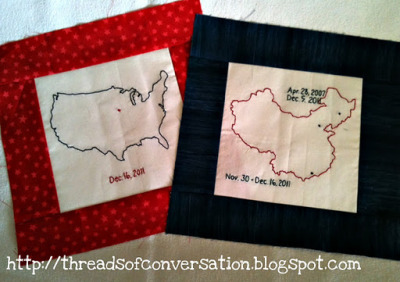 I also made the two special embroidered blocks to surprise her with at Christmas. 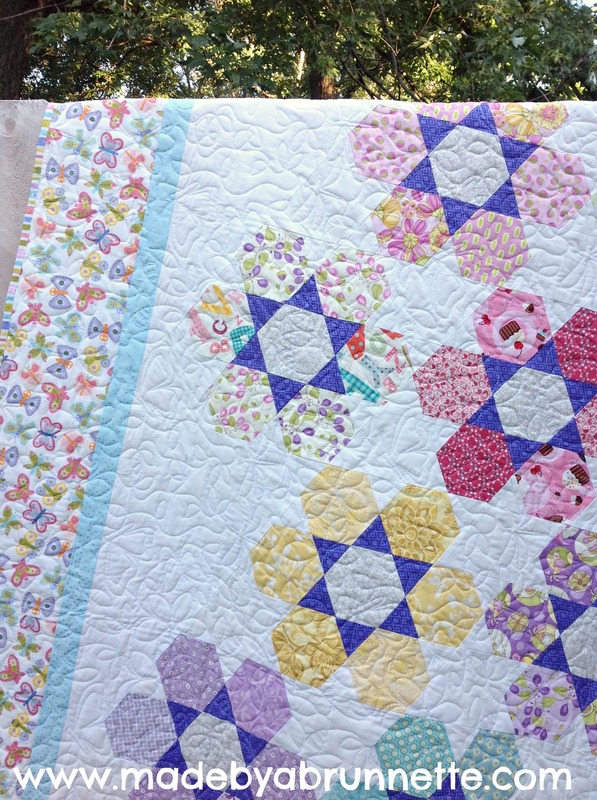 Last month, I agreed to help Lesley with the layout of the quilt, and instruct her on the next step — piecing the rows together. 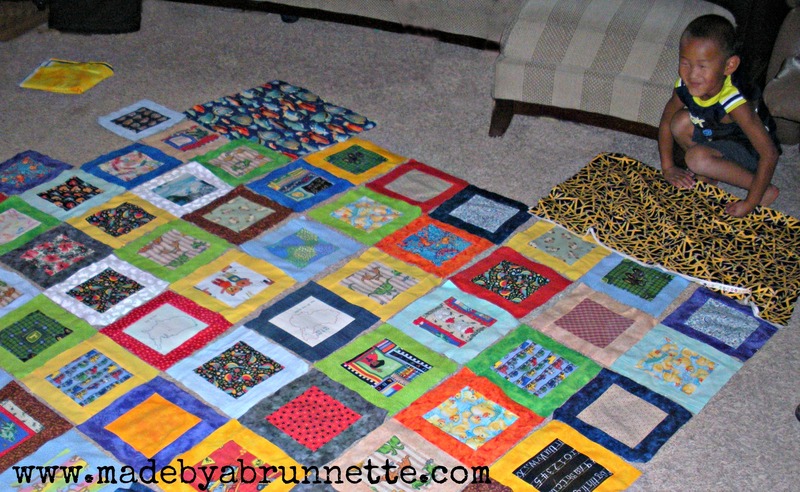 We realized we needed a few more blocks to make it the size we wanted, so we pulled out the fabrics and pieced 13 more blocks. 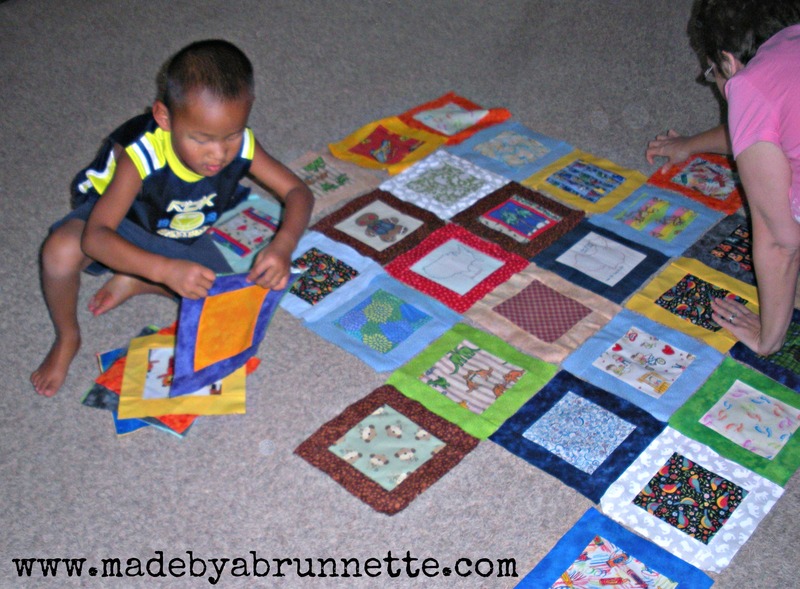 This day was a treat for his Mom and I; neither of us had any idea that Caleb would be involved in the making of his own quilt top. But like I said, his natural curiosity for learning new things, especially when there is any kind of technology involved, kept him with us all afternoon. 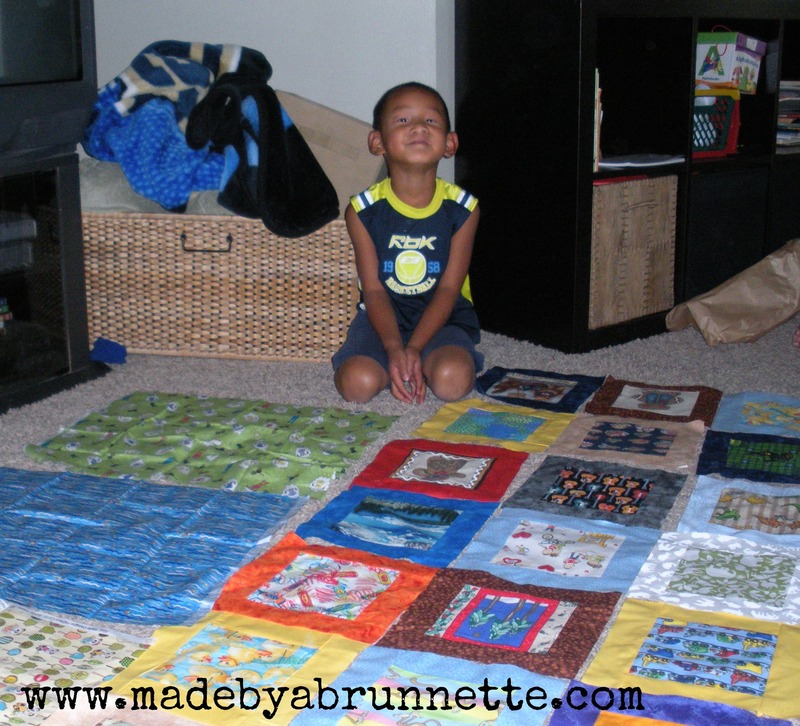 I am so proud of this boy, he might actually be the one I get to teach how to quilt and sew! 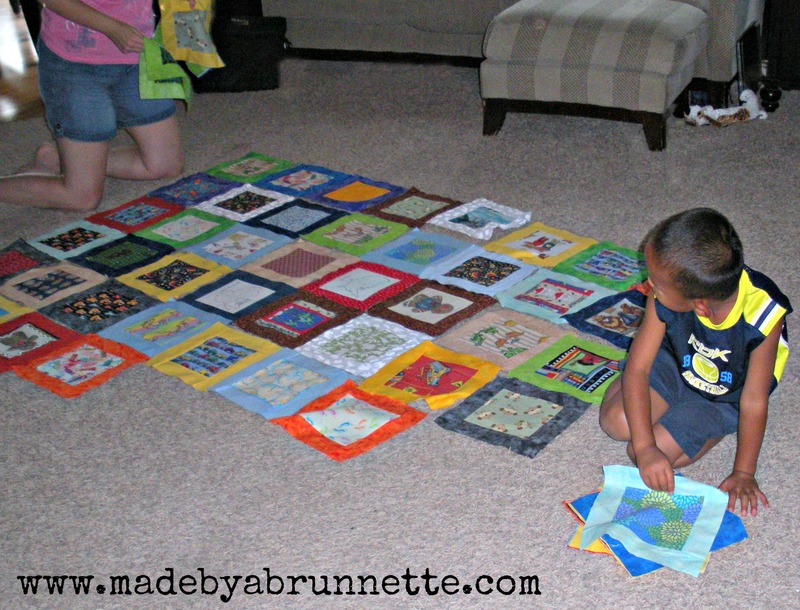 His Mom, Lesley, has since sewn her rows together, and she needs to add the borders, piece a back out of the leftover fabrics, and have it quilted. On December 16th, it will be one year since he came home, and became a citizen of the United States. Since that time; he celebrated his 5th birthday, attended a semester of pre-school, had surgery to fix his cleft palate, began speaking English, started kindergarten this fall, and joined a soccer team. I’m sure there are a hundred other important milestones I haven’t mentioned here. 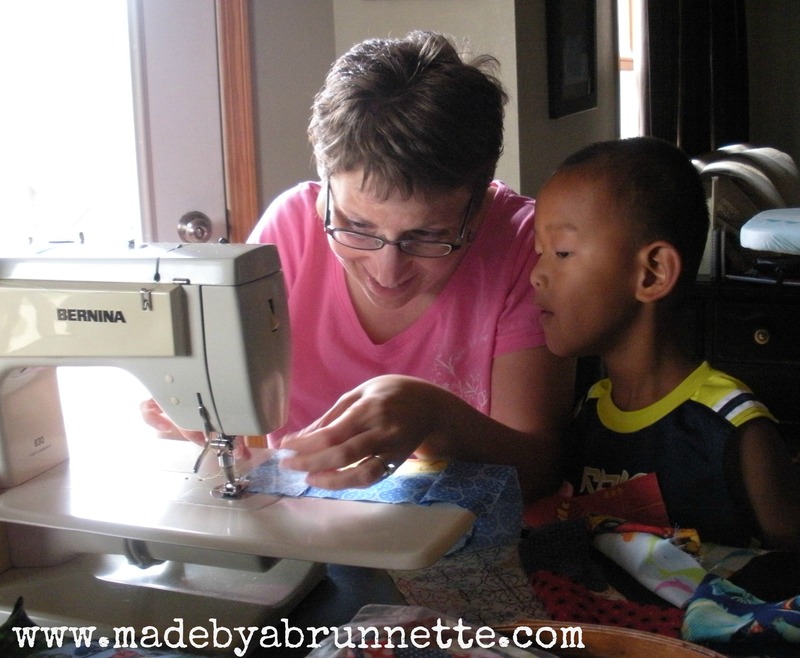 He loves his big brother, and Daddy and Mama, adores his grandparents and other extended family members. It’s hard to remember that just one year ago, he was only a little boy in a photograph, from the other side of the World, that we all looked forward to meeting. He fits so well, it seems like he’s been a part of our family forever. 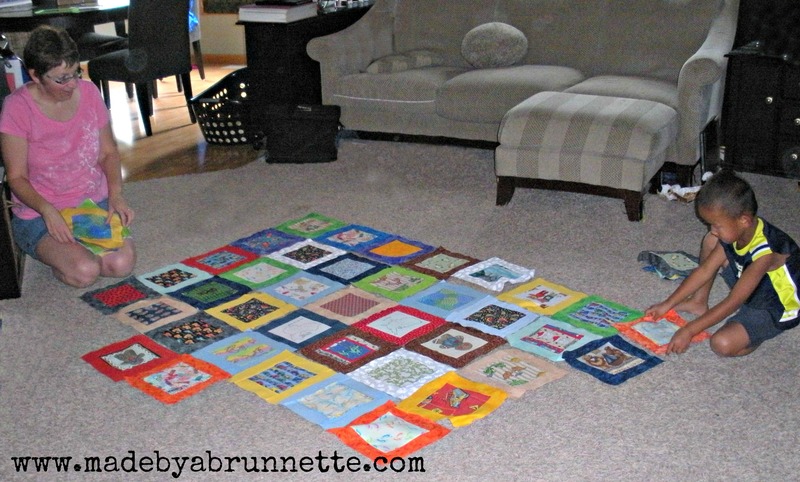 It looks different than the pattern in the magazine, I made all the blocks, lay them out on the floor and it looked like a muddied mess. 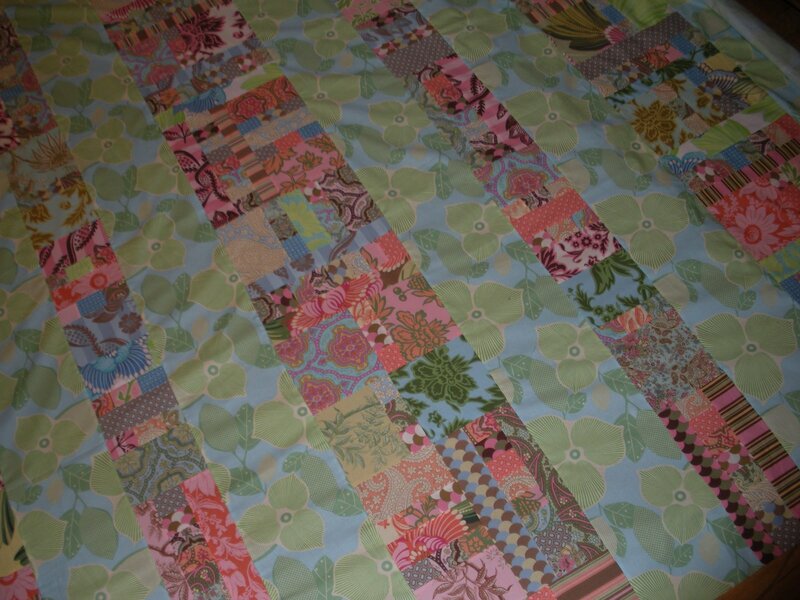 So, I pulled out my sketch book and came up with a new layout, creating a row quilt instead. 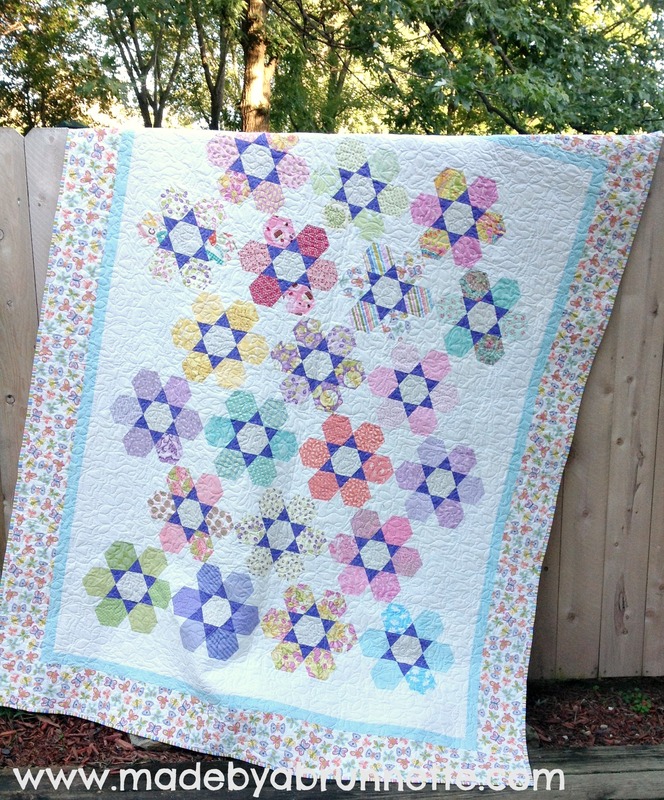 It’s huge, like 98 x 100, and therefore hard to get a shot of in my little home. 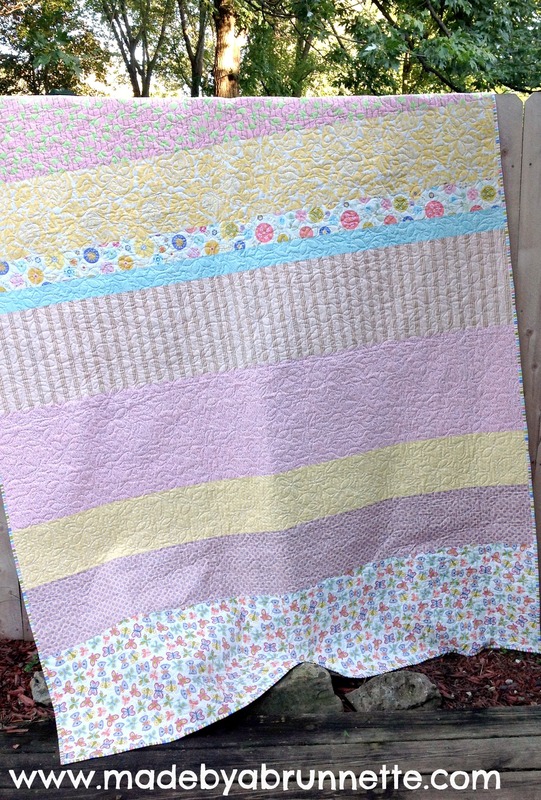 It’s made from 40-50 Amy Butler Charm fat quarters, and the floral fabric between the rows is from her first Midweat Modern line. 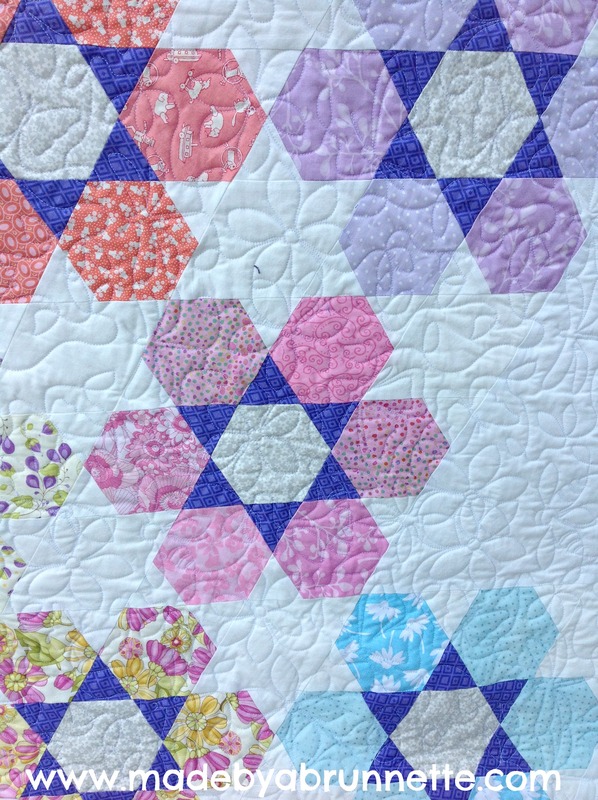 I made a pieced back (sorry, no photos!) 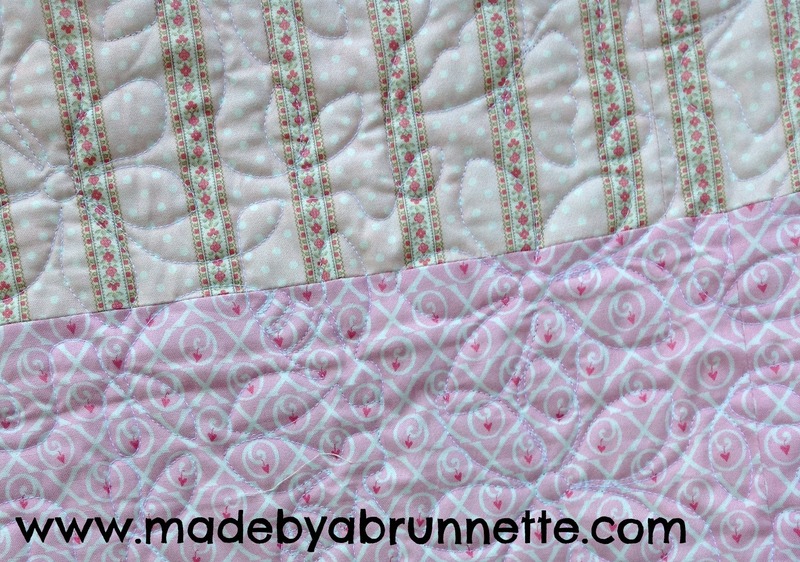 using a pale pink Kona Cotton and scraps from the top. 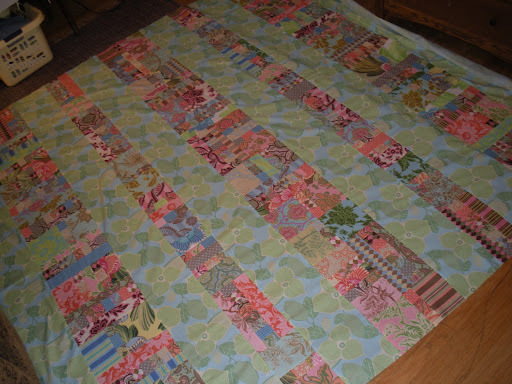 The bias binding is made as well, but it won’t get quilted until 2009, when my long-arm quilting fund is built back up! But I consider this a completed UFQ at this point! She blends in quite well, no? 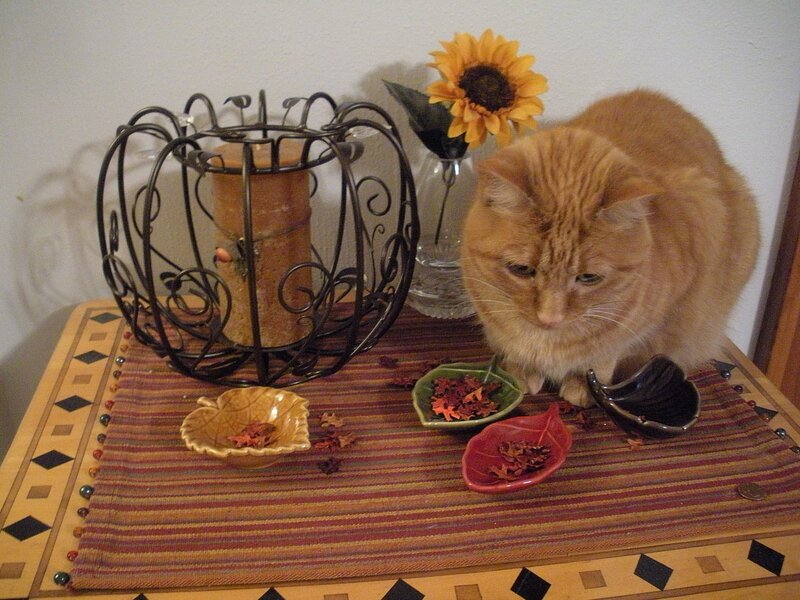 HAPPY TURKEY DAY from Maggy and Me!